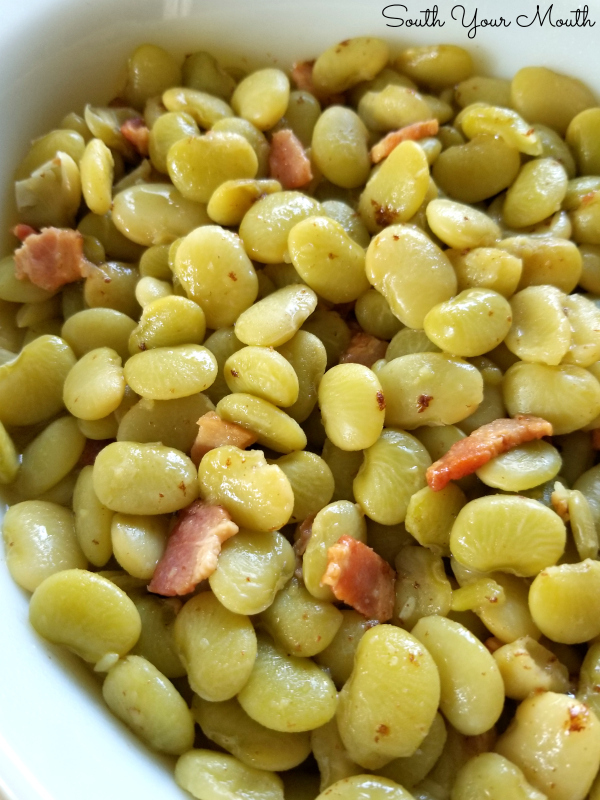 A no-fail Southern recipe for tender baby lima beans (butterbeans) cooked low and slow with bacon. There’s a local meat-and-three restaurant chain here in my neck of the woods called Lizard’s Thicket that we go to a good bit. 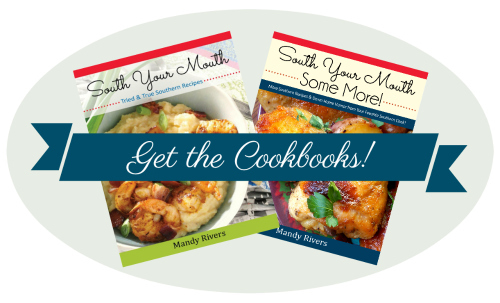 It’s the perfect place to go when you’re craving country cooking… especially vegetables! They offer over 25 vegetables every day (plus daily and seasonal specials) which is why it’s my go-to when we need to pop out for a quick bite to eat. I should probably point out that they lump other side dishes into their 'vegetable' category and that's fine by me! They serve actual vegetables like Cabbage, Green Beans, Black-Eyed Peas, Fried Okra, Fried Squash, Baby Limas, Fresh Collards, Okra and Tomatoes, Creamed Corn, Candied Yams, Mashed Potatoes and Gravy, Grilled Mixed Vegetables, Pickled Beets and Sliced Tomatoes. And they also offer side dishes like Rice and Gravy, Macaroni and Cheese, Mashed Potatoes and Gravy, Cornbread Dressing with giblet gravy, Country Skillet Apples, Applesauce, Sliced Peaches, Alabam’ Slaw, Carrot and Raisin Salad, Potato Salad, Jell-O, Cole Slaw, Squash Casserole and Kale Salad. Seriously, it's a country girl's dream! Because I’m used to ordering my favorites (black-eyed peas, squash casserole, macaroni & cheese, cabbage, cornbread dressing, collard greens and/or green beans) I rarely glance at the menu. 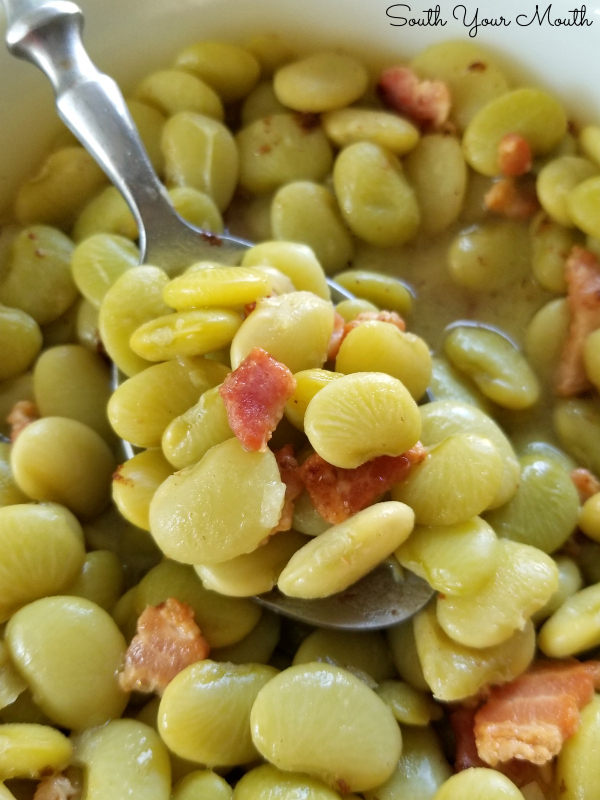 A few weeks ago, a few of us from the office went for lunch and my work bestie, Brooke, ordered the baby limas. As soon as she placed her order I got to thinking how long it had been since I’d had some good butterbeans so I changed my order and got some too! They were delicious and I’ve been craving them ever since so I made some this weekend! 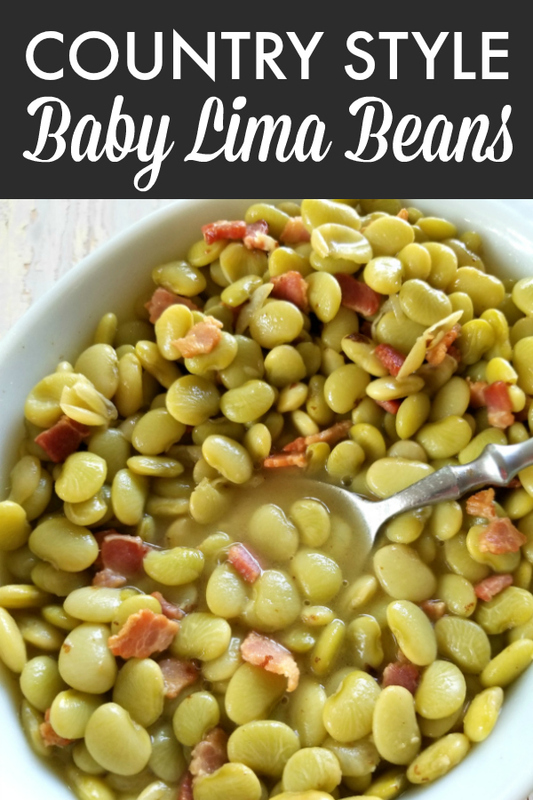 I grew up simply calling these 'butterbeans', though I’d certainly know what you meant if you called them 'lima beans', 'baby limas', or 'baby lima beans'. In my family, we just call fresh baby lima beans 'butterbeans' and we call dried butterbeans, well, 'dried butterbeans'. Over the years with this blog I've learned that different regions of the South have different names for things (cubed steak vs. country style steak vs. chicken fried steak, for example). I think folks in my neck of the woods mostly just call these butterbeans. They’re all the same beans. The small, green beans are those that are picked early (when they're 'babies') and the larger, whiter beans are just the mature beans which are often dried. I’m going to call these 'baby lima beans' in my recipe to be clear which these are. This is exactly how I cook fresh peas too. 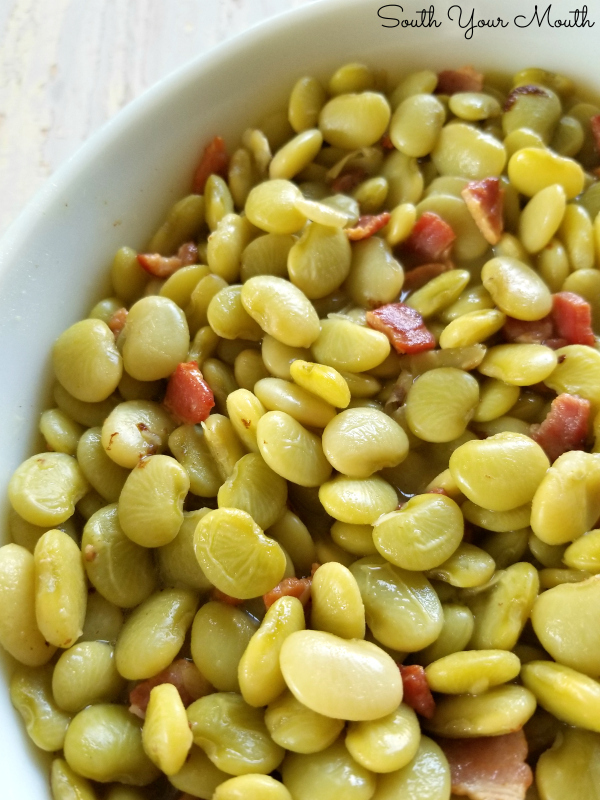 You can use this recipe to cook fresh or fresh-frozen crowder peas, butter peas, black-eyed peas, field peas, speckled butter beans, purple hull peas, pink lady peas, etc. Fried Chicken with Gravy – Simple fried chicken marinated in buttermilk with country gravy. Cut bacon into small pieces then cook until crisp in a large saucepan. Add beans then add enough broth or water to cover the beans by a little less than an inch of liquid (you may not need all 4 cups). Cook over medium heat until just boiling then reduce heat to low, cover and simmer beans for 30 minutes. Add salt then continue cooking for 30 minutes or until beans are very tender. Taste for salt then add more if desired. Turn off heat, uncover pan, then let beans rest for 15 minutes before serving. 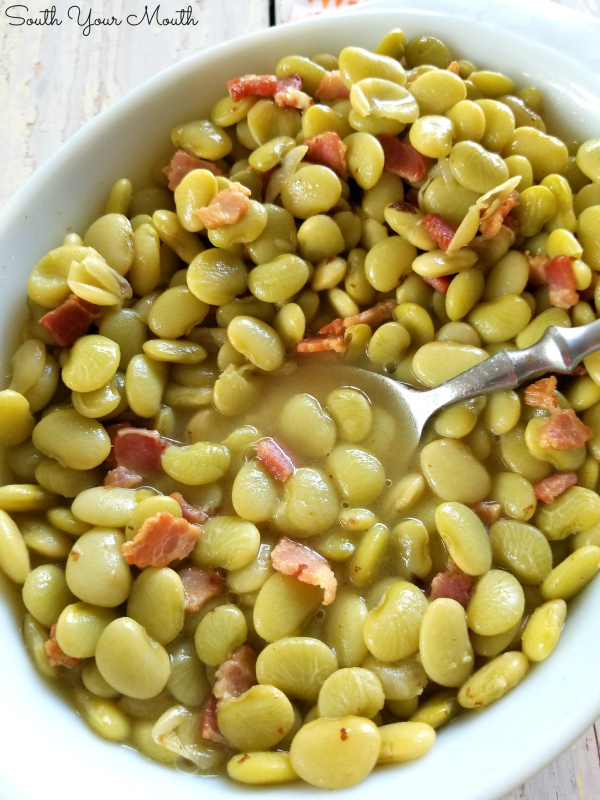 Sometimes I cook the beans with whole slices of bacon or fatback without browning it first. You can spoon out the slices before serving if desired. If I have chicken broth, I use it, but water is just as good so long as you have bacon (fatback, ham hocks, smoked turkey wings, etc.) to add flavor. The amount of salt you need depends on how salty your bacon is and whether you use water or broth. You’ll need at least 1/2 teaspoon and will likely add a little more. I don’t salt the beans the first 30 minutes of cooking because salt can sometimes make peas and beans tough. You don’t want to drown these in water or broth when you’re cooking them but you may want to keep an eye on your pan to make sure you don’t need to add more liquid. The beans need to be submerged the entire time they’re cooking. Feel free to saute diced onion with the bacon for another layer of flavor. I love Baby Lima beans! These look good but the best lima beans I've ever had was when I was a manager with Golden Corral. We made them with a hame base & were delicious. I visited a Lizard's Thicket in lexington. SC and never forgot it. Wonderful food. I live in SE Ohio and have always called them baby limas when fresh or frozen and then when dried they become butter beans. Delicious either way and with corn added to the green version they become succotash which I cream in white sauce. I live in Lexington! What a small world! That is is and who knew? I thought Lexington was a delightful town. My son has a good friend who lives there and as we traveled between Florida and Ohio we always stopped there as she graciously saved us motel costs. We always left there thinking we would never mind living there. Small town appeal and yet close enough to Columbia for city needs and services. I'm so happy to hear our neighbors have made you so welcome :) Lexington is growing a bit too quickly for me but we're very lucky in that our home is on the Columbia side of Lexington so we're close to the interstates and don't have to navigate all the Lexington traffic quite as much. Hi Mandy, I love lima beans... but have never seen fresh ones around here ( I live in upstate NY). If I use frozen beans, do I cook them for the same aount of time as indicated in the recipe. Thank you. Hi Bernice! Yes, you cook them just the same. This pot was made with frozen beans! I have cooked green beans this way but never lima/butter beans. Can't wait to try these! The dumplings sound amazing! I've had cornmeal dumplings cooked over a pot of greens and they were ta die for! I think we need one of those restaurants in Virginia! Any place that has creamed chipped beef and corned beef hash on the menu has my vote! I grew up in Georgia. We called them butter beans. Hey, my ancestors are from Saluda County (Leesville mailing address). Still got kin in Gilbert. Well, that's right down the road! I often use frozen beans (just haven't ever made any in a crock pot). I'd cook on low for 6-8 hours or high for 3-4. You just want to get them tender then switch the setting to 'warm'.